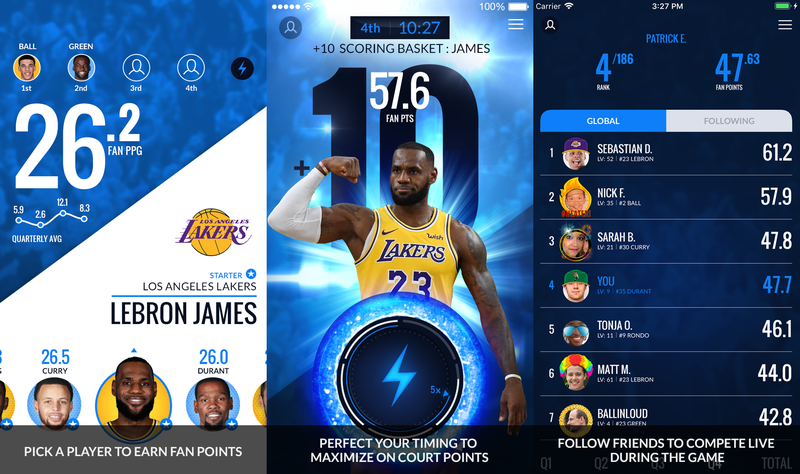 NBA InPlay is a real-time mobile fantasy game that you can play live during NBA action. Tune in, sync up, and boost your score! Choose a game & pick your players. Choose a game to play alongside. Select one player per quarter and get points from their performance in the game . During live game play, activate turbo mode to get points from all members of your active player’s team, plus bonus points for your active player. Rack up points to climb the leaderboard and win awesome NBA prizes and bragging rights. Need Help? Contact InPlay Customer Support by email: [email protected] or click on “Support” in the main menu of the NBA InPlay app.